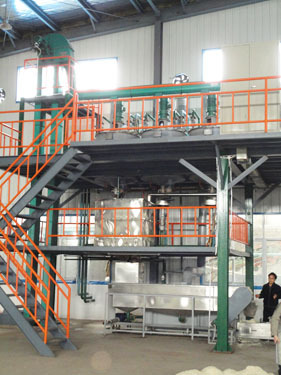 The company is engaged in sesame hulling plant including sesame hulling machine, production, sales and service. Our sesame hulling machine is designed by computer-assistant engineering and high technology. The sesame hulling machine has proven high efficiency, low maintenance and energy-saving during years of practice. Sesame seeds have a thin shell or husk which needs to be removed and this process is known as dehulling. The weight of hull is about 17% of total weight of sesame seed. The hull contains a great deal of oxalic acid and indigestive fibre. Oxalic acid can reduce biological utilization ratio of Ca in Food and influence taste. After sesame hulling, oxalic acid can reduce from 3% to 0.25% in sesame seeds, which improve the protein digestibility greatly. So, dehulling of sesame seeds is the precondition of enlarging application of sesame in food field. Hulled sesame seeds are softer and tastier than unhulled seeds. Sesame seeds are also an excellent source of unsaturated fatty acids and phytosterols. Sesame seeds are an agricultural produce, which are mainly cultivated in India, China, Burma, Sudan, Pakistan, Nigeria, Ethiopia, Tanzannia, Thailand etc. The hulled sesame seed has extensive use in the food industry, which can be used to produce hulled sesame paste, upscale cakes, Biscuit hamburger (Mcdonalds & KFC), aviation food, upscale candy, moon cake, roast, and important condiments in Japan & Korea food to improve the color and aroma of dishes. Soaking: The purpose of soaking is that make hull of sesame seeds sopped up water to expand for peeling off from seeds. The project use lye, soaking raw sesame seeds in a certain temperature, which improve the speed of infiltration ratio of water into hull, shorten the soaking time greatly to 30-40 minuties from original 7-8 hours. The produce periods is shortened. At the same time, lye weaken pigments in hull for the whiteness of sesame seeds. 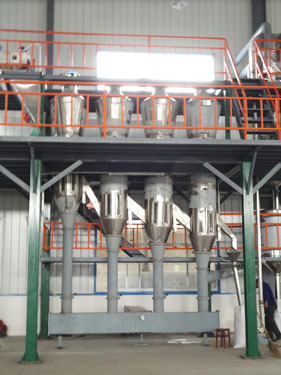 Dehulling: The project use vertical huller to make sesame seeds in relative movement. By soft friction between sesame seeds, the hull is removed. 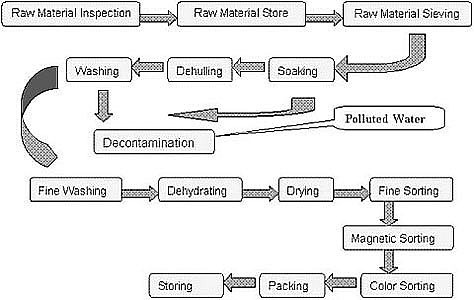 Separating: It is the key process in sesame seeds production, affecting final yield of finished product. Generally, put the mixture of hulls and seeds into water tank, by different buoyancy of hulls and seeds, fish out the hulls by hand. But it is not thorough method by buoyancy. So the project use separation theory by different geometrical sizes of hulls and seeds. Namely, use best soaking technology to soften hulls, increase crush rate of hulls but do not influence intact rate of seeds when hulling, then use hulls smaller than seeds, taking away the hulls with water flow in subsidence-type automatic separator. The seeds are captured. The separation of hulls and seeds successed. The technology save labor and product yield next to theoretical value. 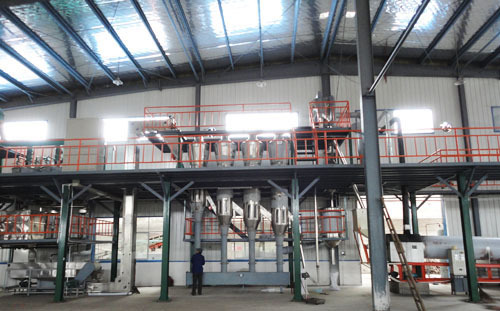 Welcome to contact anytime you want further info about sesame oil hulling plant or detailed process, you are also welcome to view other oil mill machinery and complete set of oil processing plants, we are glad to serve you!